Has your Elf on the Shelf arrived yet? Ours has! His name is Gilverd (named by the kids, of course!). 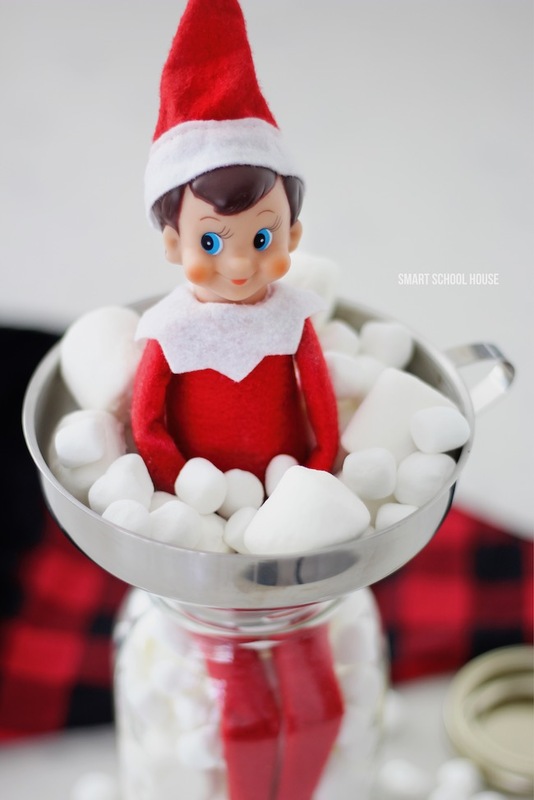 Today I’m sharing one of my new Elf on the Shelf ideas that I’m going to do tomorrow. 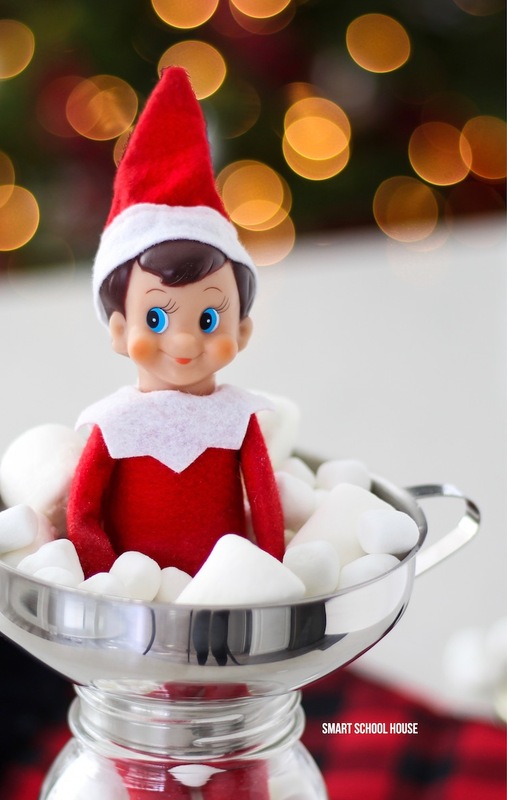 Our elf has been naughty and got into our stash of marshmallows! 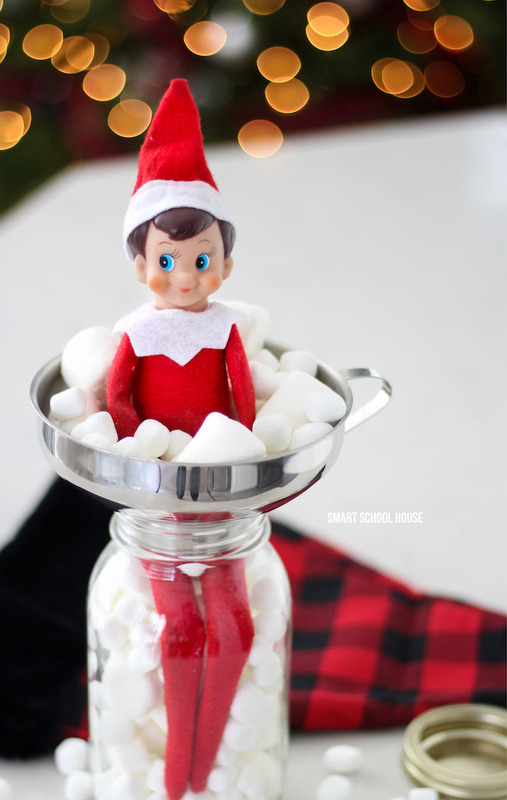 But, I’m sure the kids won’t mind finding their Elf on the Shelf in a jar of marshmallows. When does Elf on the Shelf Start? Elf on the Shelf usually makes his appearance sometime after Thanksgiving. He arrives at different times for every family. He comes with a book that describes what he does. Inside the book, kids get to decide what to name him. That’s how we got the name Gilverd (we started when my kids were in preschool LOL!). Some elves are girls and some are boys. Inside the Elf on the Shelf book, the boy or girl elf describes that it is magical. He is a special little elf that helps Santa know whether the kids in the house have been naughty or nice. Each night, the elf magically flies back to the North Pole to report to Santa about how the day went for the kids. But, the best part is that he magically flies back home before the kids wake up again! This time, however, he’ll be in a new spot, so the kids have to wake up and find him! He can be watching from anywhere: in the Christmas tree, on the mantle, or you can create special little scenes every once in awhile like this one where he’s staring through a magnifying glass. Here’s the catch: kids can’t touch the elf on the Shelf otherwise he loses his magic. Trust me, kids take this very seriously! So, he’ll stay in one spot all day long until the next morning when the kids wake up and find him in a different spot. Large marshmallows or small marshmallows – I used both sizes for fun! Looking for other Elf on the Shelf ideas? The BEST Elf on the Shelf ideas EVER! Pressing his body toward the front of the funnel creating a gap, fill the rest of the jar with marshmallows. Scatter a few marshmallows around the table so it looks like he made a mess as he got stuck! 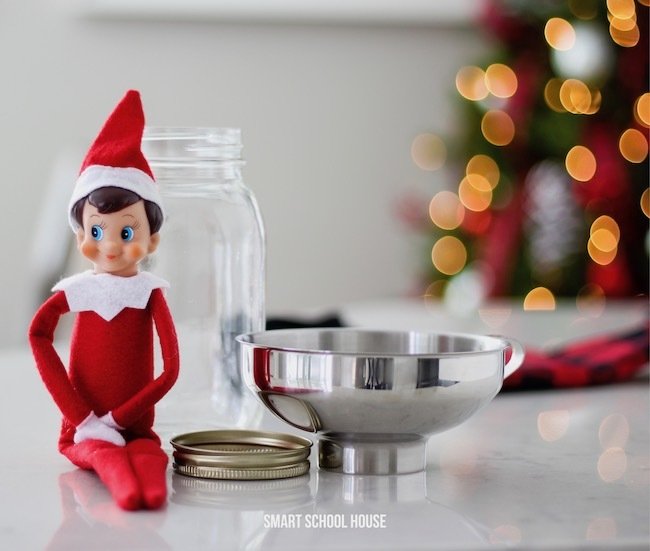 If you’re low on time or energy, this is a great last minute Elf on the Shelf idea to save!